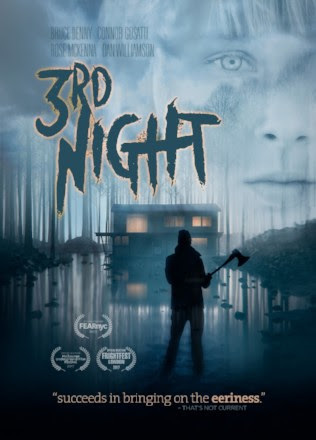 3RD NIGHT is a horror film from Australia. Shot by up-and-coming director Adam Graveley (“Killer Experience”), the film brings two poachers to a remote home. Here, the newly married Jonathan (Robert Hartburn, Hidden Light) and Megan Reid (Jesse McGinn, Broken Contract) are terrorized in their new farmhouse. Is there any way to escape? 3RD NIGHT also stars: Bruce Denny (Death Bet) and Connor Gosatti (Midnight Ticket). 3RD NIGHT is a 2D Films and Meld Film Studio production. 3RD NIGHT will be released in an unrated version, so Graveley’s true horror vision can be seen by audiences. Released in Australia in 2017, horror fans in the U.S. can see Graveley’s first feature, on DVD from 9th October 2018!